The kitchen of a home is one of the most important aspects. This is where you will spend much of your time- mastering your chef skills, stocking groceries, eating dinner, and relaxing with your loved ones. Wouldn’t you want your kitchen to look it’s very best? At King Remodeling SD, our kitchen remodeling services are simply impeccable. 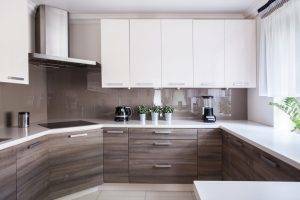 We ensure you will be getting only top quality renovations for your kitchen because we know the importance of this space. From countertops and cabinets, flooring, appliances, backsplashes and more, we have everything covered from A-Z. Once the kitchen remodel is completed, you will feel comfortable to start cooking and making tasty meals for your family members! If there is a specific kitchen look you had in mind, our design team will do our very best to try and achieve this exact look for you! It’s time to have a freshly re-done kitchen space. Call us today to get started.